Over the years, Italian craftsmanship has become synonymous with perfection and excellence. And Fiocchi is to ammo as Ferrari is to car, with the both of them creating excellent products in their field. 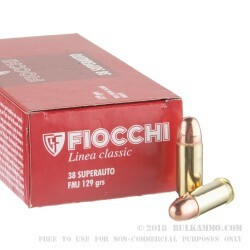 Fiocchi .38 Super will deliver performance that leaves you asking yourself, “Did I just shoot the Italian super-car of ammunition?” The answer will be obvious after the first pull of the trigger. Fiocchi .38 Super weighs in at 129 grain and travels at 1150 speed, producing 381 foot-pounds of energy out of the muzzle. 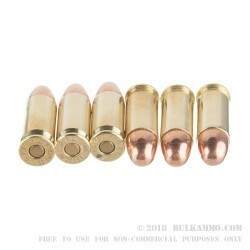 Their casings are made of boxer primed brass, and can be safely reused. 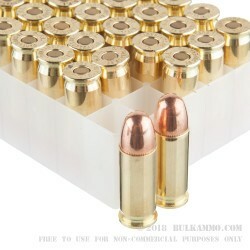 The cartridges come packaged in a 50 round plastic tray, boxed in Fiocchi branded card stock.